A few months ago, I was approached by a school that was interested in choosing Parenting Through the Storm as a selection for their school's parenting book club. Needless to say, I loved the idea; and the school's email got me thinking about what I could do to support their efforts. In addition to offering to visit their school (either virtually or in person, depending on logistics! 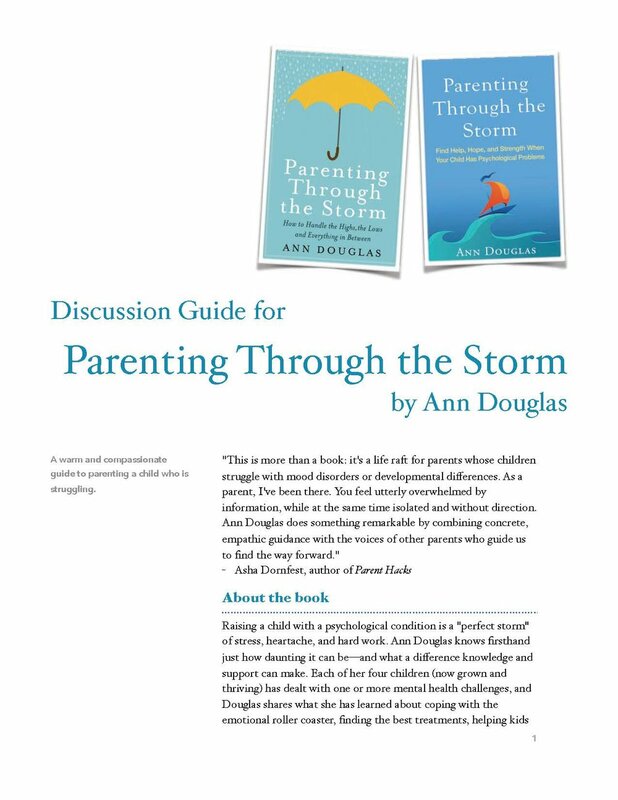 ), I also offered to create a reading guide for Parenting Through the Storm. The result is the reading guide that I have just uploaded to the website. a series of illustrations and quotes that highlight some of the key points I hope every reader will take away from the book and the resulting book club discussion. Note: It doesn't matter whether you're reading the Canadian edition of the book or the US and International edition of the book. Either way, this reading guide is for you. And if you do decide to choose Parenting Through the Storm as a selection for your parenting book club or other reading group, please drop me a line to let me know. I'd love to hear how things go and I'd welcome your suggestions on how to improve the guide.